What is a winch rope and what is it used for? You are here: Home / Cable Pulling Winches Blog / Cable Pulling Machines / What is a winch rope and what is it used for? A winch rope is constructed with a unique high quality molecular weight polyethylene material and offers high abrasion resistance and great tensile strength .It is really efficient and useful for construction industries as well as all other big industries. A good quality winch rope is coated with high temperature urethane and assisted with a temperature resistant sleeve on the first layer and a nylon-sliding sleeve that provides protection against wear and tear of the rope and long durability. The unique self-tightening rope attachment has been designed to hold the rope tightly on the winch drum. How are the rope constructed and its technical specifications? It delivers high abrasion resistance and powerful tensile strength. The winch ropes is a necessary accessory for your ATV as well as in your utility 4×4 ATV that can take you to long distance places if you are going for ATV camping. It is important that you have a powerful battery for your winch. Use as much as winch cable ropes as possible as the more amount of rope you use, the more the pulling power would be. The cable or winch rope should be held perpendicular to the drum of the winch during pulling the same and an eye should be kept on the drum so that the pulling can be taken care of. Also, never exceed the strength limits of the winch rope. Also, never use a winch to pull another ATV. Uneven spooling of too much winch line may result in the line getting damaged along with the winch itself. Making a shorter winch rope decreases your risk of overloading the winch and damaging the winch as well as the winch rope. The winch ropes is easy to use and maintain and they are affordable as well. 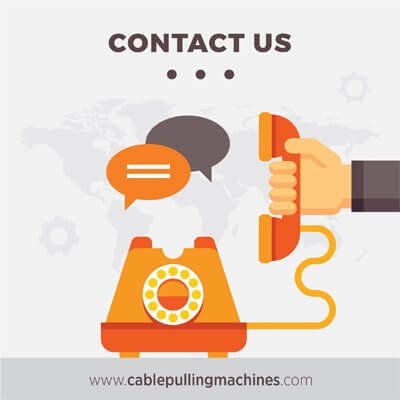 https://cablepullingmachines.com/wp-content/uploads/2017/03/cable-pulling-machines-logo-1.jpg 0 0 erkan1095 https://cablepullingmachines.com/wp-content/uploads/2017/03/cable-pulling-machines-logo-1.jpg erkan10952017-01-05 08:19:292017-01-03 08:21:03What is a winch rope and what is it used for?